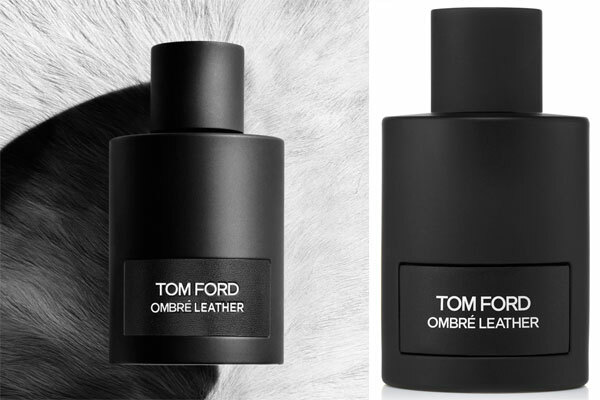 Ombre Leather by Tom Ford - This new edition of Ombre Leather is the latest addition to the Tom Form Private Blend fragrance collection. The warm and spicy unisex scent is a leather fragrance featuring notes of cardamom, jasmine, black leather, white moss, amber, and patchouli. Launched in June 2018 and housed in an opaque black perfume bottle it's available in an eau de parfum spray from Luckyscent, Marcy's and Sephora. Package Design Black opaque perfume bottle with black leather label and black cap.